This week on the Makers On Acres Tech, Build and Grow show we are going to be discussing Arduino! 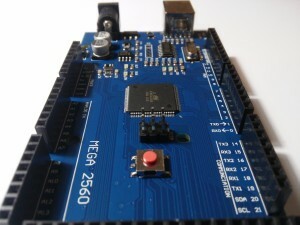 It has been a while since we have visited the world of Arduino Micro controllers! Many of you may or may not have listened to me as a guest on Highlanders Tech Show when we were discussing Arduino Micro Controllers. Arduino Micro controllers give us abilities to control and create so many different projects that the list is nearly limitless. 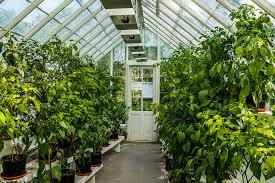 An Arduino Micro Controller can control a greenhouse, watering system, robot, heating and cooling system, RC Car, drone and much more. Arduino microcontrollers are a very interesting product as they allow us to create nearly anything we can think of with our creative minds. When coupled with some extra electro mechanical devices and digital devices, the possibilities of Arduino are endless! So what is an Arduino? And why would any survivalist or Prepper or anyone else for that matter be interested? If you have ever had that moment in your life where you have said I wish I could make “____” or get this to do “____”, than this may be one place for the Arduino to enter your life and creative world. Last week I talked about how Technology can be a problem in life, and that I was not a fan of where some of Technology was headed, but the Arduino is simple technology that I love. The Arduino can make our lives simpler by adding it into a system to do the thinking and switch flipping for us. Think of the Arduino as a time saving little piece of technology that, once learned, can be implemented into all of your automation and control system projects. On this show learn more about the Arduino and what it truly can do. Visit Makers On Acres website HERE! Listen to this broadcast or download “Control projects created” in player below! Archived shows of Makers On Acres Live at bottom of THIS PAGE! Previous: Previous post: Stranded, Survival Without Supplies! Next: Next post: Zombie Survival Camp!